Carrie Underwood poses for a photo on the Carnival Vista cruise ship on November 4, 2016 in New York City. 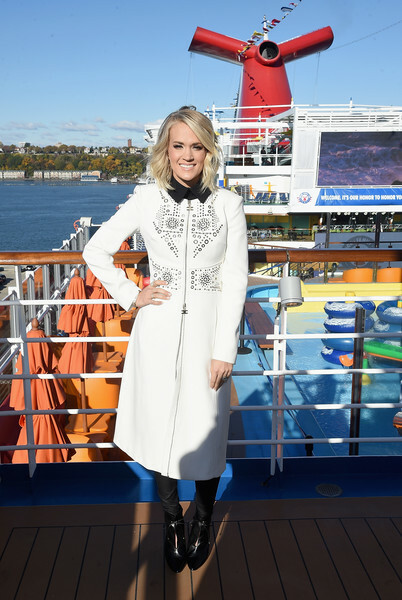 Carrie Underwood visited the Carnival Vista cruise ship wearing a white coat with a studded front. Carrie Underwood finished off her cold-weather look with black lace-up ankle boots by Jimmy Choo.